They say everything is bigger in Texas—and that most notably includes the behemoth city of Houston. This fast-paced metropolis embraces the industrious spirit of the Lone Star State and is home to the NASA space program, the world’s largest concentration of healthcare and research institutions (Texas Medical Center), and a ten-gallon hat or two. With a planetarium, a giant screen theater, and a butterfly center, The Houston Museum of Natural Science is among the most popular museums in Texas. Take a trip through its many exhibits and become familiar with everything from chemistry to Texas wildlife and ecology. The museum also houses the Foucault Pendulum, a representation of the earth’s rotation and an original exhibition at the World’s Fair of 1851. Ever thought that stock cars could be turned into works of art? So did Ann and James Harithas. The Art Car Museum is the manifestation of the Art Car movement, and often nicknamed “The Garage Mahal.” The idea was rooted in imagination—it was a way for artists to design their “dream cars.” These “dream cars” are now on display, and are much like a fever dream or a trip to Willy Wonka’s Factory—no concept is going overboard. “Houston, we have a problem”—we’ve all said it, but what do we really mean? Flock to the Space Center Houston to find out, and discover the rich history of NASA while you’re at it. Your trip is entirely customizable, and could include lunch with an astronaut, a visit to Kennedy’s podium (where he announced we would be traveling to the moon), or a cruise through the portrait gallery of every astronaut who has flown into space. Book a whole day—you’re bound to need it once you start exploring. With free performances all summer long, Theatre Under the Stars serves up the musical talents of Houston. The program runs year-round, with performances transitioning from the outdoor Miller Theatre to the Hobby Center for the Performing Arts. Treat yourself to a show: the company’s been known to perform everything from Mary Poppins to Heathers to A Christmas Story: The Musical. 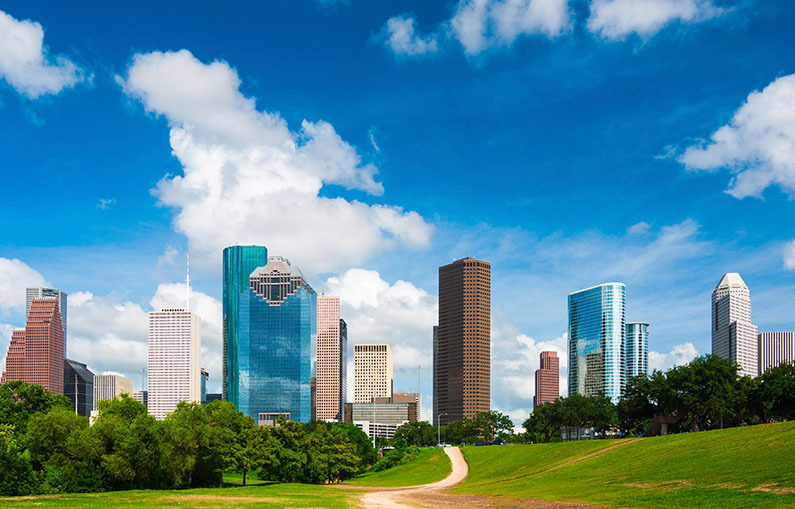 To plan your trip to Houston or for an extended guide of things to do, visit the official Houston city guide at http://www.visithoustontexas.com.